One of the most common causes of loss of hearing is age-related hearing loss or presbycusis. 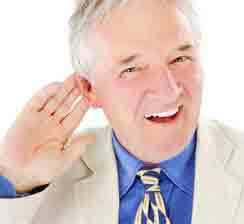 If you are over 60 there is a 30 percent chance that you suffer from hearing loss, especially if you are a male. If you are over 75 you have a 50 percent chance that your hearing is affected. Presbycusis is caused by changes to the inner ear caused by regularly being exposed to loud noise, diet, smoking, and by health conditions and certain medications. Age-related hearing loss also hereditary, so if your parents were hard of hearing in their later years, chances are you might also have problems with hearing as you age. Baby boomers have been harder hit than previous generations as they are the first generation that have been subjected to rock music and certain environmental noise which did not exist previously. These factors mean that future generations will doubtlessly suffer from age-related hearing loss even more than baby boomers, as many of today’s youth have been raised on loud music. Worse, much of this is fed directly into their ears at high volume, through headphones and the the use of MP3 players, etc. The problem is further complicated with baby boomers because, as this generation joins the ranks of the over 50 brigade, they refuse to accept that aging can effect them and too many are denying the signs. The first hearing difficulties to be noticed by an individual who begins to develop presbycusis usually concern high frequency sounds. Female voices are usually harder to hear than male ones. The person might not notice the trilling of a bird, for example, but will be able to hear roadworks or the sound of a passing bus. They may have difficulties in hearing the difference between words with the softer consonants f, g, s, t, and z. Following a conversation might become difficult and speech may sound muffled, especially when there is background noise or the acoustics are not the best. Problems such as tinnitus (ringing in the ears) can complicate these problems. Accepting aging is harder for some people than others and those that do find it hard might refuse to accept that their hearing is deteriorating. If the problem is diagnosed these people might also be reluctant to ask for help or to wear a hearing aid. However, it is necessary to acknowledge that we are aging and that hearing problems might occur as a result, if we are to prevent presbycusis or to treat the condition if we become affected. Have you noticed in recent years that you are not following conversations, can’t hear when there is background noise or when the acoustics are bad? Are you having problems following along in meetings or understanding what is said when someone is talking quietly? Another reason for concern is if you can’t hear the TV unless it is turned up so loud the neighbors complain. You should regard all these symptoms as warning signs that you may be developing sensorineural hearing disorder which may be caused by changes to the inner ear due to aging. All of these situations require action. You are advised to visit your doctor and possibly get a referral to see a specialist after he has ruled out possibilities such as too much earwax or an ear infection. And whether or not you are experiencing problems protect your ears by turning down the volume on your stereo and especially when listening to music or other sound using earphones. Make sure that you wear earplugs when you are exposed to loud music, drilling, airplane engines and other loud noises. Refusing to wear a hearing aid will not make you appear younger. 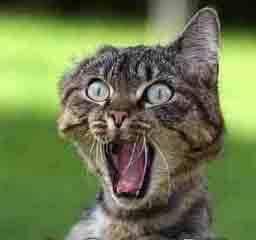 In fact it might make people mistake you for a doddering old fool or worse – someone who is losing their mental edge. Remember that medical science is continually making advances and the latest appliances work better and are more discreet than those that our parents and grandparents had to wear. Prevent presbycusis by protecting your ears when subjected to loud noises that you can't avoid and don't turn up the volume if you are using earphones. This way you will protect your hearing capital for as long as possible.